Expectations of a busy summer transfer window at Anfield are set to be fulfilled with the Liverpool looking likely to smash their transfer record. The £35million paid to sign Andy Carroll from Newcastle in 2011 looks set to be overtaken thanks to the club’s Fenway Sports Group owners handing Jurgen Klopp the biggest transfer budget in the Reds’ history. There is a notable desire to bolster the squad’s strength in depth having seen the current players tease signs of mounting a serious title challenge in the near future. 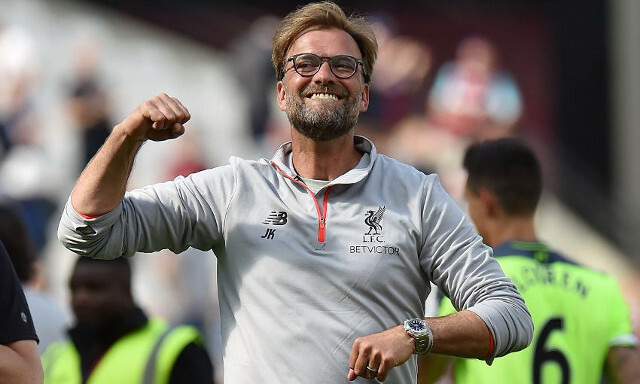 This summer has been identified as the time to spend big and ensure Liverpool are equipped to compete at the top of the Premier League and in the Champions League for years to come. In order to do so, the club could twice surpass the record fee paid for Carroll if successful in the on-going pursuit of RB Leipzig’s Naby Keita and Southampton’s Virgil van Dijk, according to Goal.com’s Melissa Reddy. Both men could cost around £50million but have emerged as priority targets, thereby meaning Liverpool will not be put off by their hefty price-tags. Further attacking and midfield reinforcements are also likely to arrive with Roma’s Mohamed Salah also being linked to a move to Merseyside, as well as Arsenal’s Alex Oxlade-Chamberlain. It promises to be a busy summer but one that will undoubtedly see Klopp strive to get his business done early in time for pre-season.